It has emerged that Park "fOrGG" Ji Soo has retired from his professional StarCraft: Brood War career. He informed KeSPA he would be retiring and as a result no longer has a progamer license. At the time of his retirement the KT Rolster Terran was still in the PDPop MSL Ro32 in Group F so his opponents were given BYEs. He retires ranked 15th by KeSPA but down at 45th on the overall ELO list. 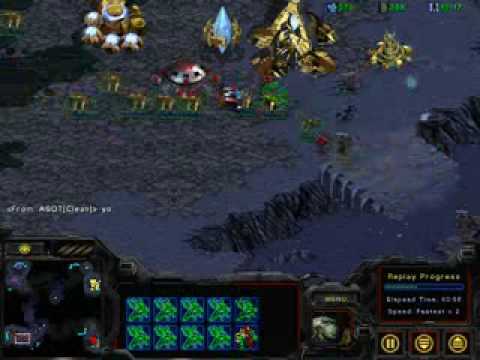 He had the 8th best vZ ELO at the time. fOrGG is most famous for his performance in the Arena MSL in 2008 as he won the title by upsetting Jaedong, who was going for back-to-back titles, with a shocking score of 3:0 in maps. He also defeated Flash in the Ro4 of the same tournament. Many suggested his title came as a result of biased Terran maps and being Jaedong's team-mates and thus more familiar with the style of play of "The Tyrant". fOrGG was never again able to achieve that level of individual success. His best other runs were reaching the Ro8 in the Lost Saga MSL, Bigfile MSL and Korean Air OSL. fOrGG's nickname was "The Pretender" and the track of the same name by The Foo Fighters was used as his entrance music. He was best known for his aptitude at timing attacks and his TvZ, with his other matchups being quite average. He transferred from Hwaseung Oz to KTF MagicNs. In last season's Proleague he helped KT Rolster to the championship.